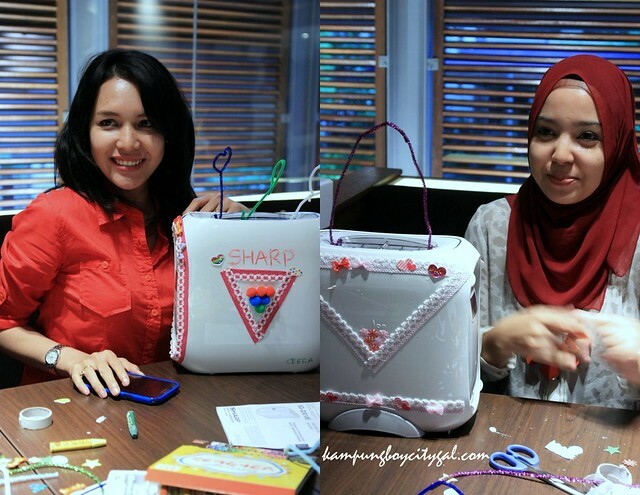 Thanks to Sharp and Nuffnang, we were fortunate enough to be invited to Sharp Plasmacluster Workshop Part II at Mid Valley last week. 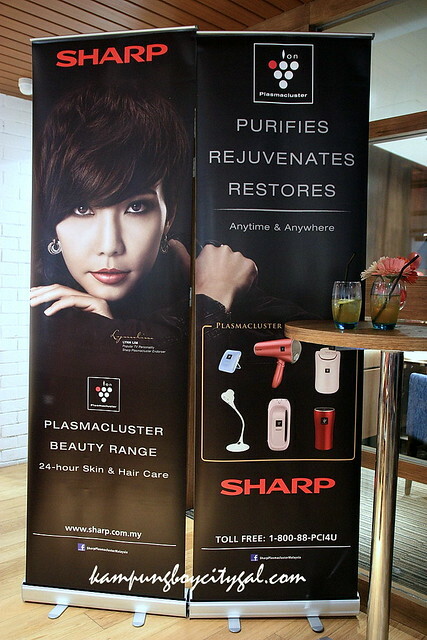 Do you know that Sharp Plasmacluster was awarded by The Brand Laureate Awards 2010-2011 as ‘Best Brands in Healthcare’? 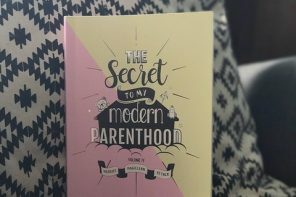 Read on and you’ll know why. 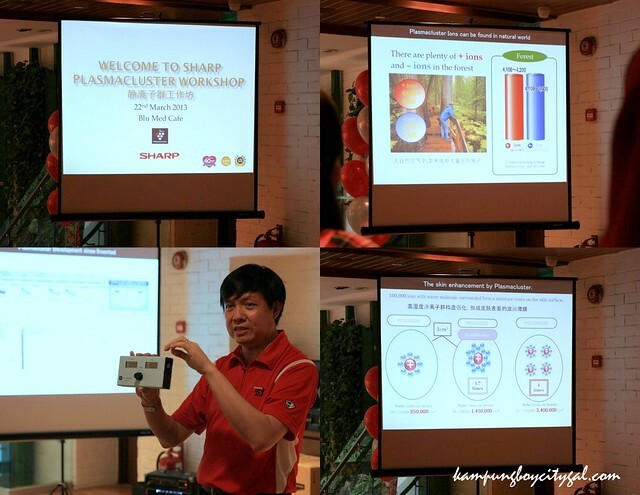 The workshop provides an excellent way for us to experience the wonders of the plasmacluster technology. 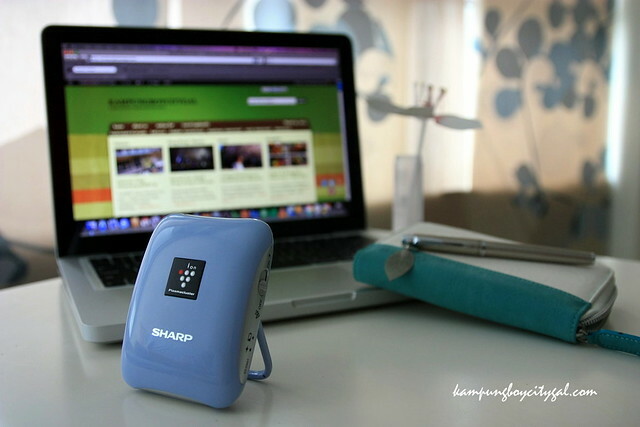 Mr. Chew from Sharp Malayia went through some chemical knowledge with us by explaining about air ions and how Sharp Plasmacluster technology purifies the air by generating and emitting both positive and negative ions. The ions when come into contact with viruses and mold will transform into OH radicals which break down the proteins in viruses and mold. The OH radical together with H creates water H2O which returns to the air. 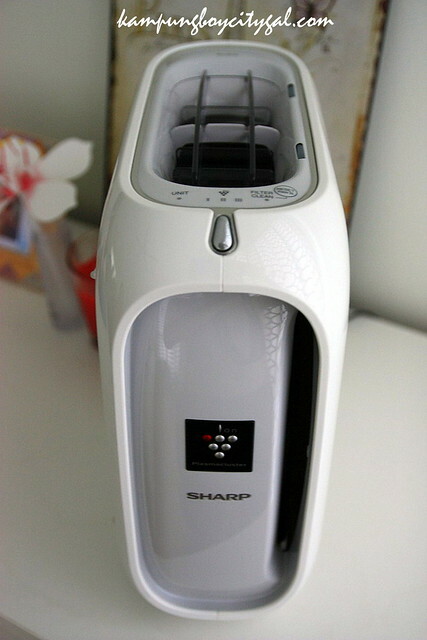 Apart from being widely use in ionic air purifiers, the Sharp Plasmacluster technology is also being incorporated into beauty care. The Plasmacluster Beauty Care aims to purifies, rejuvenates and restores, anytime & anywhere. 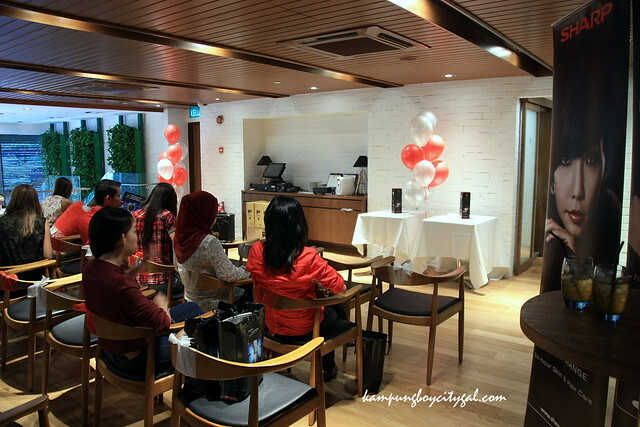 We have stylists from Number 76 who demonstrated how to blow dry and create smooth, soft hair with Hair Conditioning Dryer from the Plasmacluster Beauty Range. Number 76 salons replace their existing hair dryers with the Hair Conditioning Dryer, which is a true and professional testament to the standard and quality of those hair dryers. My extremely dry, coarse, unruly hair needs some magic touch too. Steve from Number 76 saw my hair and he shook his head teasingly, “Your hair is really damaged”. 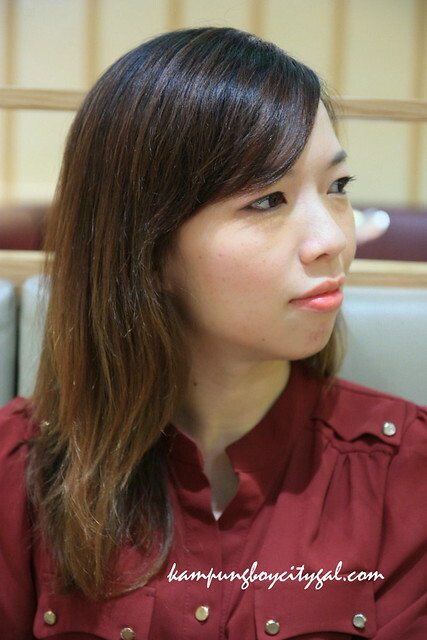 However the result is almost instant – my hair became silky and glossy after some styling. 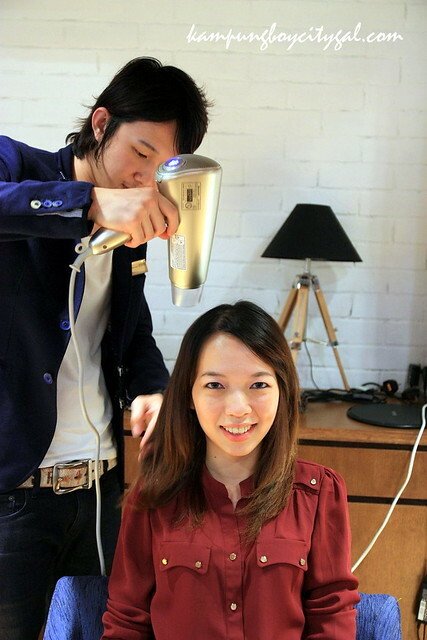 The ionic hair dryer works because it bonds water droplets on the hair shaft with negatively charged ions. This breaks them down into smaller particles that dry quicker and helps seal the strands’ cuticles to retain moisture in the process. It also reduces cuticle damage, reduces static electricity and results in fewer spilt ends and hair breakage. Sharp Plasmacluster had something fun in store for us too! 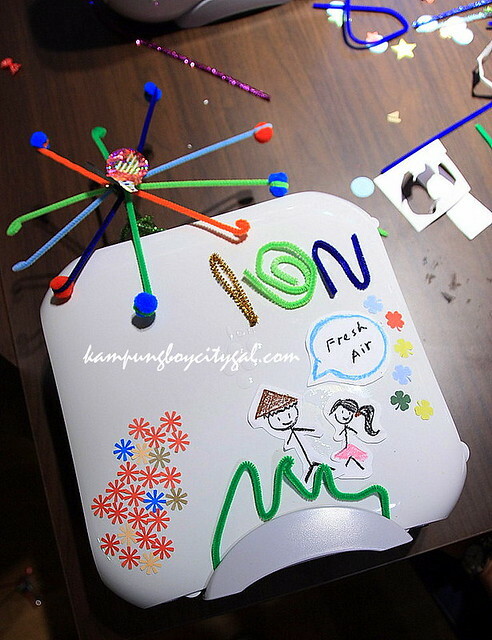 We were given a task to get our creative juice flowing by decorating the Portable Plasmacluster Ion Generator with whatever we have on hand. KBCG’s version of Portable Plasmacluster Ion Generator. Cute no? 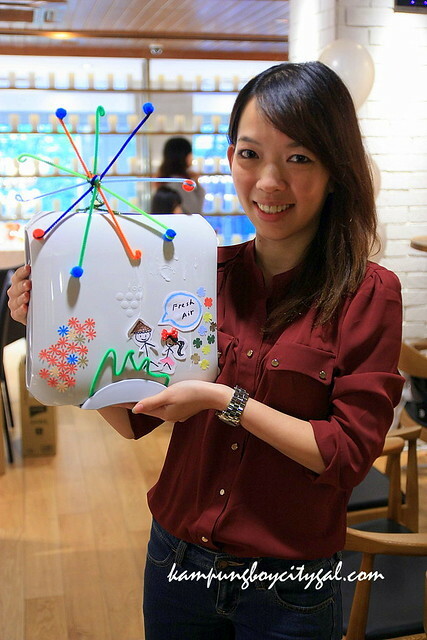 Our decoration is envisioning a fresh air wonderland and the top structure is depicting IONS. 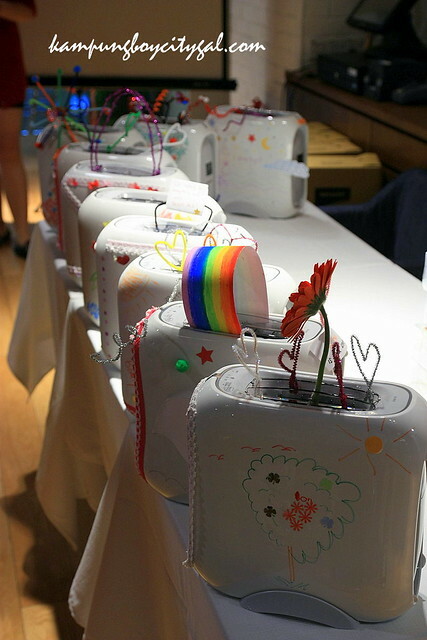 I have to say all the participants did a great job, the decoration ideas run wild and Sharp is generous enough to give away all 10 units of Portable Plasmacluster Ion Generator. Everyone walked away grinning from ear to ear. 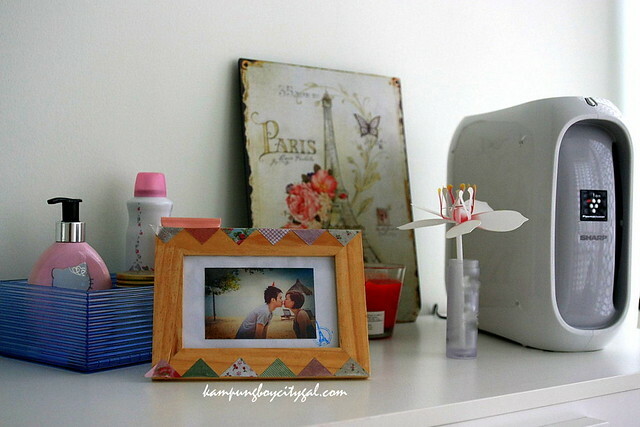 The giveaway product is now sitting nicely on my bedside table. We are so happy with it as we get to enjoy a breath of fresh air at home. We have been using the Portable Plasmacluster Ion Generator for a few days now. I turned it on before going to sleep every night. I hope this will improve my sinuses problem. The Mobile Portable Plasmacluster Ion Generator is also my favourite product because I can carry it with me wherever I go. 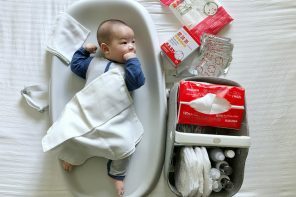 Imagine breathing in fresh air on the go! 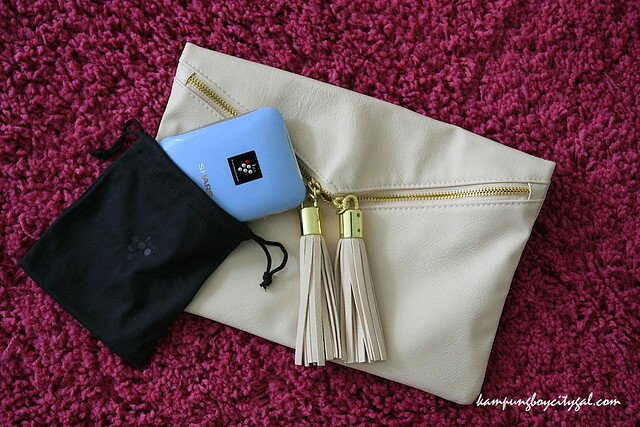 It is so small that I can slip it into my handbags/clutches. It is my great companion at work now. 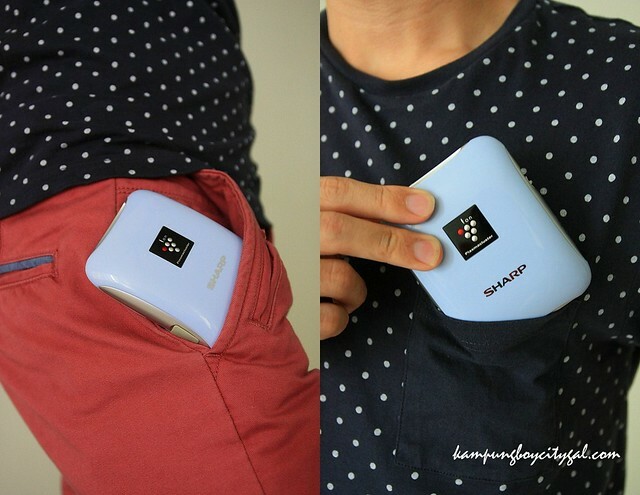 It comes packed in lithium-ion rechargeable battery. It is also chargeable via AC or USB port. How convenient! 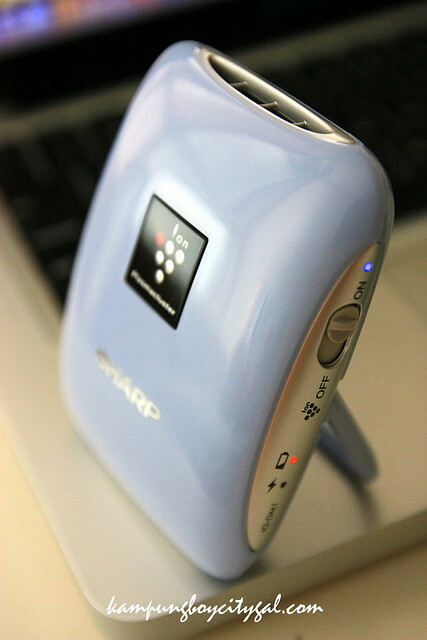 For more information, visit Sharp Plasmacluster Facebook Page and Website.